This product features an authentic text from a Colombian Magazine regarding 6 stories of famous celebrities and their encounters with ghosts. Makes a great engaging lectura for students. Can be adapted to any levels of Spanish. The celebrities include Justin Bieber, Miley Cyrus, Demi Lovato, Lady Gaga, Selena Gomez, and Bella Thorne. This product features an authentic text from a Colombian Magazine regarding 4 questions submitted by readers and answered by the magazine. 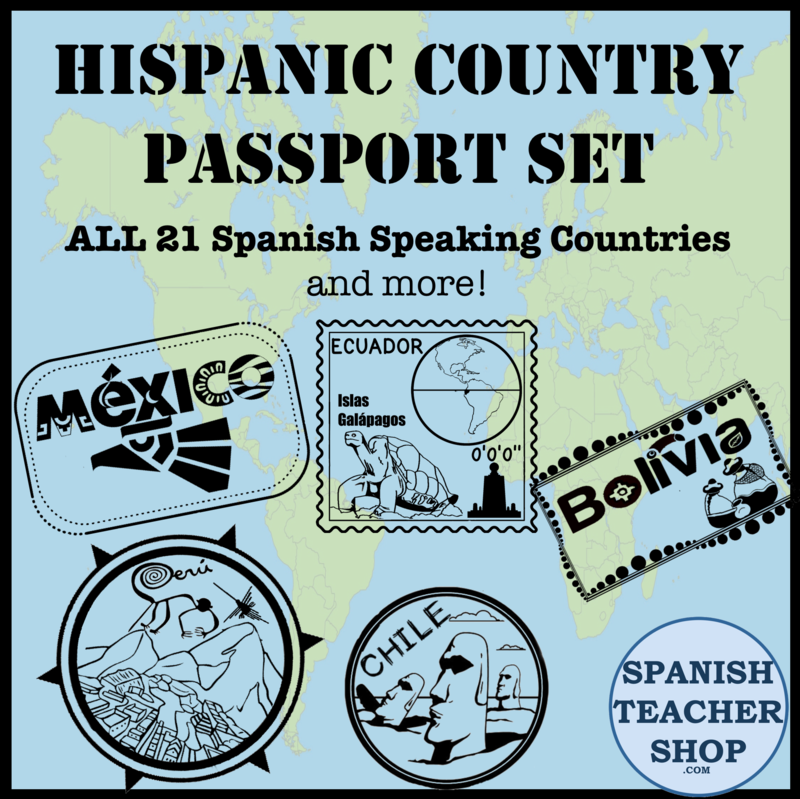 Each excerpt comes with reading comprehension and critical thinking questions in Spanish. Comes with an editable powerpoint file so you can add your own instructions or define key vocabulary for students. A PDF version is also included for easy access. Great topic for upper level students or can be adapted for beginning levels as well. Topics include Fear and Phobias (Miedos y Fobias). Or how about some Movietalks? This MovieTalk is a great way to introduce the legend of La Llorona to level 1 and level 2 Spanish students. Your novice students will be able to understand this famous Latin American folktale. This product includes a story to introduce the legend of La Llorona by dramatizing the story in class. Then use our Screenshot presentation or watch the video of a Got Milk commercial to movietalk. This presentation comes in both present and past tense. Or for some real spooks, try El Monstruo del Armario. When a little boy can’t sleep the dad finally lets him sleep in his bed. But now the dad is hearing noises…. and they’re coming from the closet. When he opens the closet he finds something really interesting. 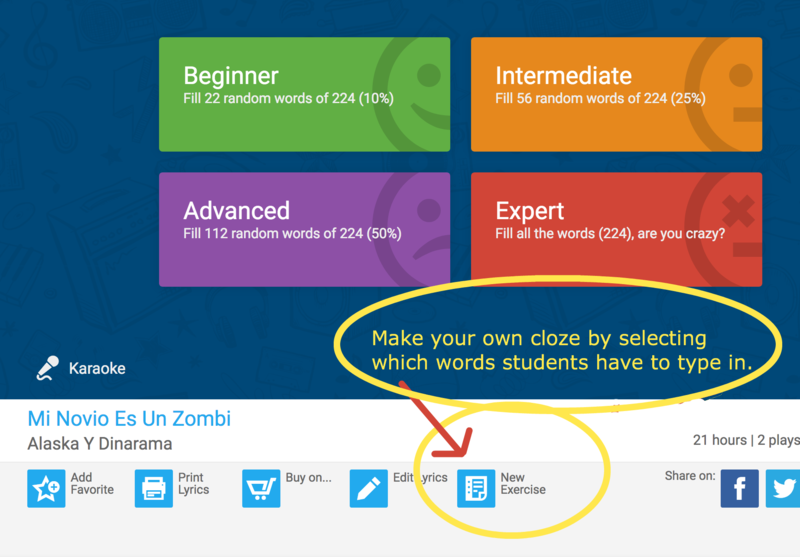 Take the song Mi Novio Es un Zombi on Lyrics Training to have students do an online close activity. On this link, teachers can create a “New Exercise”. Students do not need an account to complete this activity. I recently used El Vampiro story from The Spanishteller’s Corner which was a PERFECT follow up to my La Llorona Movietalk. This entry was posted in Lesson Plans and tagged halloween. Bookmark the permalink.